e-NABLE-Siena College is a non-profit, volunteer organization that is modeled after its sister organization, Enabling the Future. As they strive to, “Use 3D printing to give the world a ‘Helping Hand’”, we will emulate this goal by reaching out to our surrounding community in the same fashion. As part of a Franciscan community, we strive to embody the vision and values of St. Francis of Assisi, especially by working together in friendship and respect, service to the poor and marginalized, and commitment to building a world that is more just, peaceable, and humane. We will utilize this educational background to benefit and promote the health of others, specifically those who are, or who have become, upper-limb amputees. We will collaborate with and learn from the success of Enabling the Future in order to further our influence and impact toward the welfare of our community. e-NABLE-Siena College is a made up of a group of students, ranging in experience and focus, that has recently come together to give back to the surrounding community of the Capital District. With the help and guidance of Enabling the Future, we hope to extend our influence even beyond the Capital District, so that we may grow this branch of e-NABLE beyond our college limits. We will be going through the process of being matched with recipients, printing and assembling a suitable hand/arm for them, and finally, delivering the device to them and guide them through the movements of how to use the device. When we have the opportunity, we would like to extend our influence into areas in need all over the world. We will be able to accomplish this, again, through the collaboration of other e-NABLE volunteers. As students of Siena College, we are constantly looking for opportunities to get involved with bettering our community and extending our knowledge to help those in need. 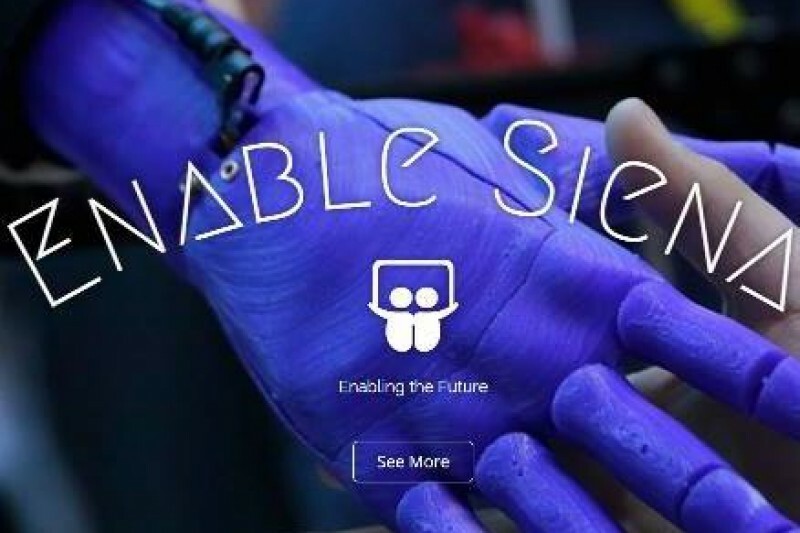 Through the formation of e-NABLE-Siena College and our cooperation with Enabling the Future, we are providing ourselves with this opportunity to make an everlasting difference in people’s lives. Thank you E-nable team for showing how helping others experience happiness is so rewarding! Great jobs girls, be proud. Proud of you Erica P.